Best Value in the Neighborhood! 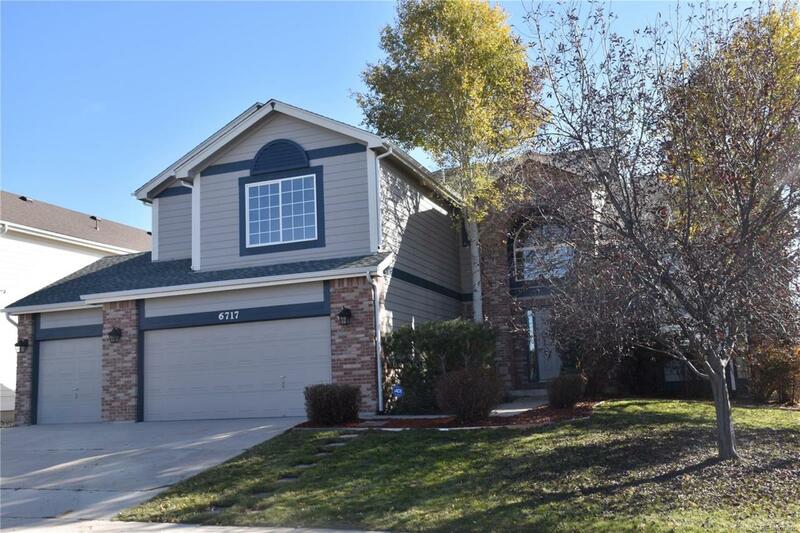 Beautifully spacious home located on a quiet cul-de-sac in Stetson Hills. Step into this remodeled home with new wood floors, new carpet and new paint. This home includes a roomy high ceiling family room with gas log fireplace. The kitchen includes new cabinetry, new refrigerator, a double oven and new solid counter tops. Visit with friends as you prepare meals in the kitchen. Also, on the main level, find the office with french doors, formal dining and living room. Extensive new hardwood floors are included. This home includes four large remodeled bedrooms upstairs, with a spacious master bedroom and new 5 piece bath. The basement sports a separate temperature regulated wine closet, a wet bar, and plenty of room for a pool table. The bath in the basement is huge with a large jetted tub and a separate shower. There is plenty of room for storage and another bedroom is also located in the basement. Offered by Paradigm Real Estate.